Platinum engagement ring. 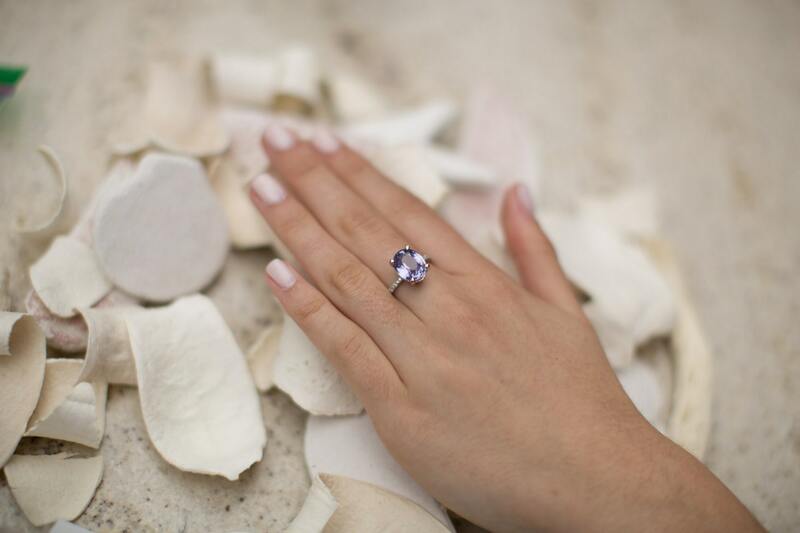 Engagement rings by Eidelprecious. 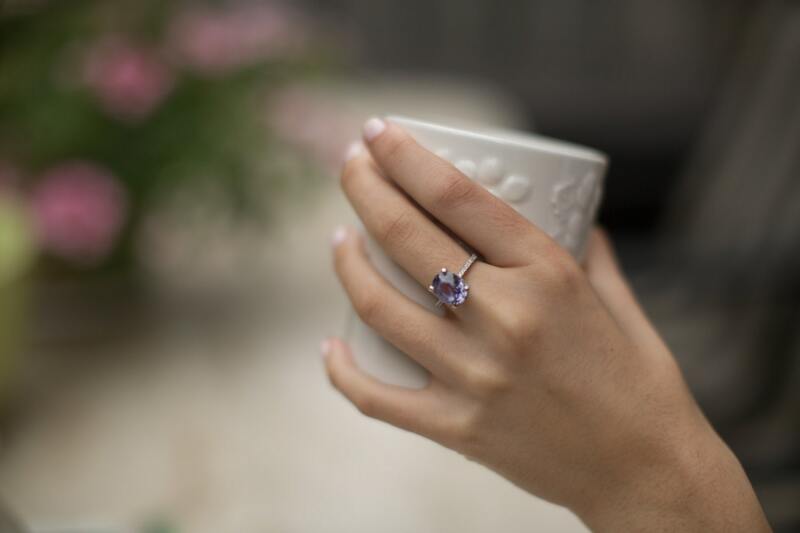 ULTRA VIOLET, a blue-based purple, is an official color of the year 2018 by Pantone. 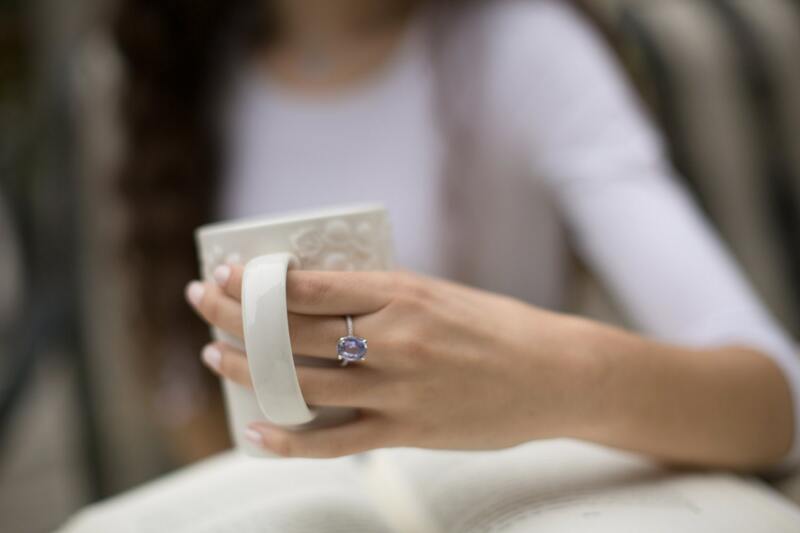 Platinum ring with Ultra Violet sapphire. 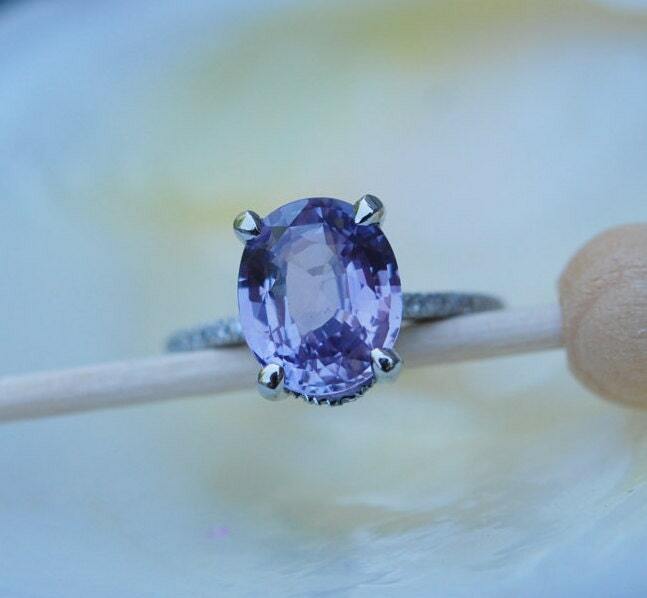 This ring features a 4.4ct oval sapphire, amazing lavender plum purple color. Displays color change under certain lightening. Very unique and rare one of a kind sapphire. Extremely sparkling and clear, no visible inclusions. This beauty is set in my upgraded platinum diamond setting. Diamonds VS/F. TDW 0.3ct.